Order cake online in Varanasi or send flowers to Varanasi from Wish A Cupcake and get free home delivery to Varanasi. Looking for a delicious cake in Varanasi, or want to send flowers to Varanasi? Wish A Cupcake offers premium quality cakes and flowers delivered to your doorstep. Order a freshly baked cake or flowers for delivery across Varanasi. Our bakery products now come in eggless cake options. Our home delivery services make it easier than ever for you to order a cake online, or buy flowers online. 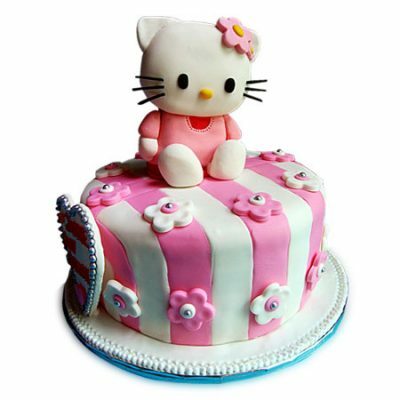 Wish A Cupcake offers one of the best and top quality cakes in Varanasi and flowers in Varanasi. Our attention is towards excellence and freshness of cakes and flowers. Daily discounts are available on our collection of cakes and flowers meant for all occasions and events. You’ll be able to purchase your cake online for delivery in Varanasi, and also send flowers online in Varanasi. Place your order now for delivery anywhere in Varanasi! Same day cake delivery. Send cakes to Varanasi. Buy and send a cake to Varanasi with Wish A Cupcake. We offer free home delivery of cakes in Varanasi. Feel free to order a birthday cake, wedding cake, corporate cake, anniversary cake, cake for parties and special events. Our online cake delivery services ensure same day and midnight cake delivery in Varanasi. Buy and send flowers to Varanasi with Wish A Cupcake. We offer free home delivery of flowers in Varanasi. Feel free to order flowers for birthdays, flowers for weddings, corporate flowers, flowers for anniversary, flowers for parties and special events. Our online flower delivery services ensure same day and midnight flower delivery in Varanasi. A cake is one of those popular desserts which has delighted many people over the years. It is considered as an ideal gift to be given to friends and family. It is the perfect indulgence during several celebrations, festivals and dedicated events. Wish A Cupcake brings to you an array of delectable cakes that will surely add flair to the occasion. We offer a whole range of appetizing and spongy cakes that are available for cake delivery in Varanasi. You can serve these yummy cakes during occasions like Birthday, Anniversary, Mother’s Day, Valentine’s Day, Weddings and corporate events and many others. Our online portal is the ultimate solution for all your gifting needs. We have an extensive range of products that can be delivered across India. For several festivities and occasions, you will find attractive cakes such as chocolate truffle cake, black forest cake, butterscotch cake, vanilla cake, pineapple cake, black forest and fruit cake. All these can be delivered to your loved ones with a greeting card conveying all your thoughtful messages. If you want to buy a fresh cake made with top-quality of, then Wish A Cupcake is a right place for you. Send Cake online in Varanasi from our online portal and have the most wonderful treat ever. We deliver cakes to top cities like Mumbai, Gurgaon, Noida, Bangalore, Kolkata, Chennai and many others. Choose midnight cake delivery or same day cake delivery in Varanasi to send cakes to your loved ones. Our cakes have been the center of attraction for every occasion because of their high-quality and luscious appearance. Share your ideas with us and we will prepare the best cakes for your special day. For assistance, feel free to speak to our customer care executives. We will be happy to assist you. Happy Ordering!